Wildlife Defence League campaigns to end the exploitation of wildlife. For decades, grizzly bears were hunted for trophy in British Columbia. After years of pressure and active campaigns by First Nations, non-profit organizations (including WDL), eco-tour companies and citizens, the government of British Columbia banned the practice. While grizzly bears are now safe from hunters, they still face major threats to their survival, specifically in the form of habitat destruction. Learn more and support the effort to help protect this iconic species. Hunting regulations in the province do little to avoid orphaning kittens. While it is illegal to kill a mother cougar in the presence of her kittens, killing a mother while she has left her kittens in the safety of a nursery or rendezvous site is legal. 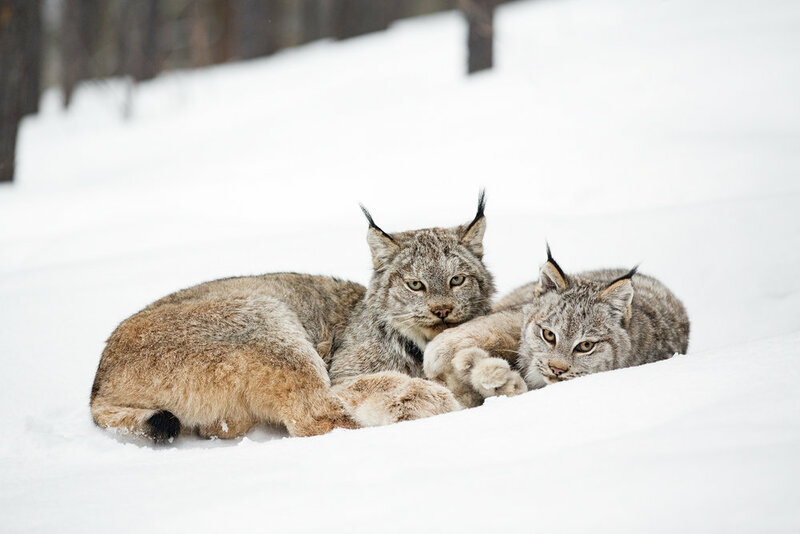 Our #TrophyFreeBC campaigns seeks to end the hunting of cougar, lynx and bobcat. In early 2015, the government of British Columbia announced they would be culling wolves from helicopters in an effort to save endangered caribou herds from extinction. But wolves are not to blame for the loss of caribou. Over 40 years of industrial expansion into critical caribou habitat has decimated population numbers. Wolves are being used as a scapegoat for a government working hand-in-hand with corporations to profit off the destruction of the natural world. Our Never Cry Wolf campaign seeks to end the cull and ensure caribou are given sufficient habitat to recover and thrive in British Columbia.